Create a Shopping List to receive a Quotation. With Beta Homes' new Rigid Core Vinyl Flooring customers will get the authentic look of hardwood with hassle-free cleaning and low maintenance. 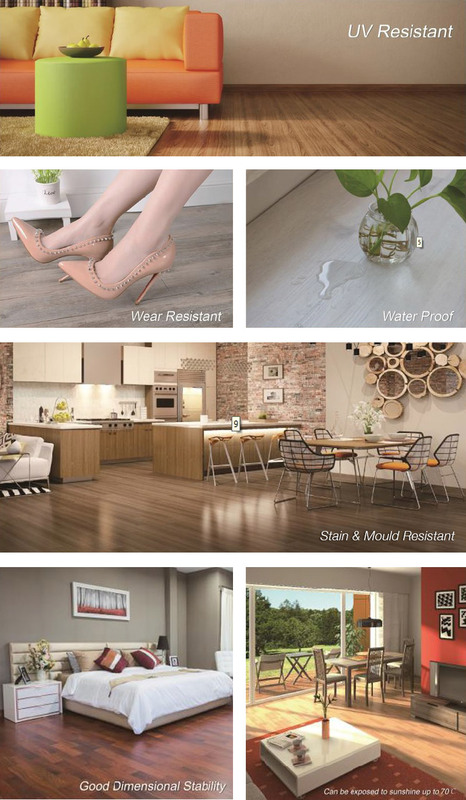 Choose Rigid Core Vinyl Flooring for the beautiful look of wood and the durability of stone. Get the most popular wood grains, including Honey Pine, Light Teak and Slate Clay, in our Residential Grade flooring. In our Commercial Grade flooring, we offer Antique Oak and Ash Grey. Residential Grade: $TT 16.50 VAT incl. Commercial Grade: $TT 22.00 VAT incl. Complementary accessory mouldings and fittings in stock. Cor. French & Roberts St.
© 2019 Beta Homes. All Rights Reserved.